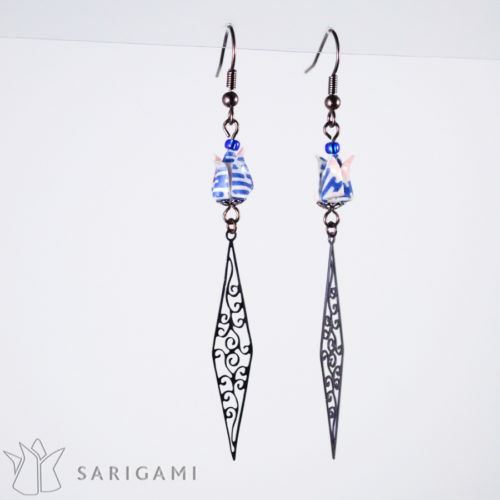 A cute origami flower handfolded in a white and blue paper with pale pink patterns, with a long metal fan. 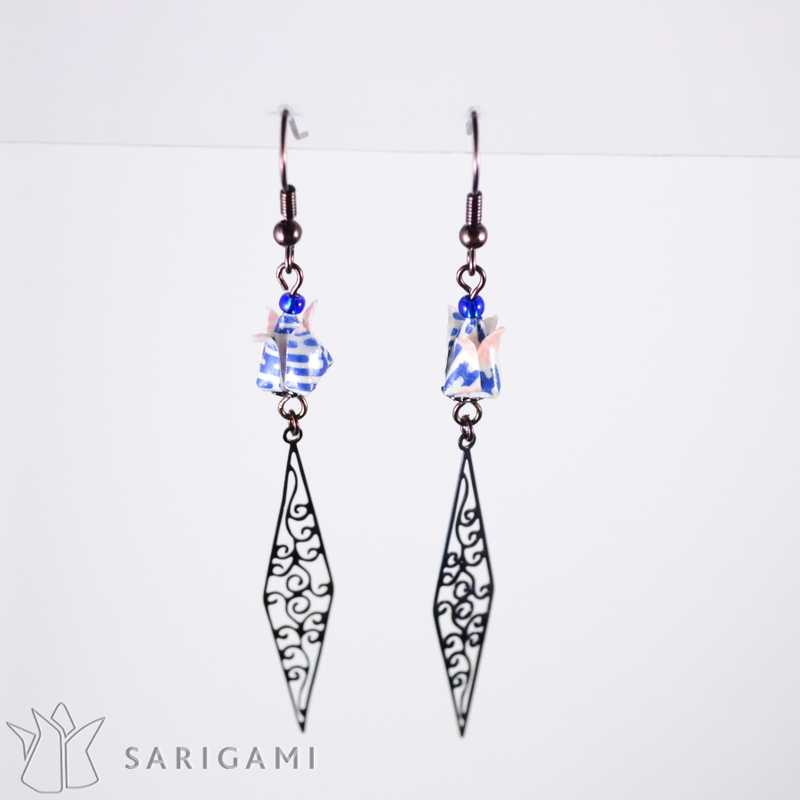 Paper flower with chocolate-gold-colored metal pendant with fine patterns. Nickel free. 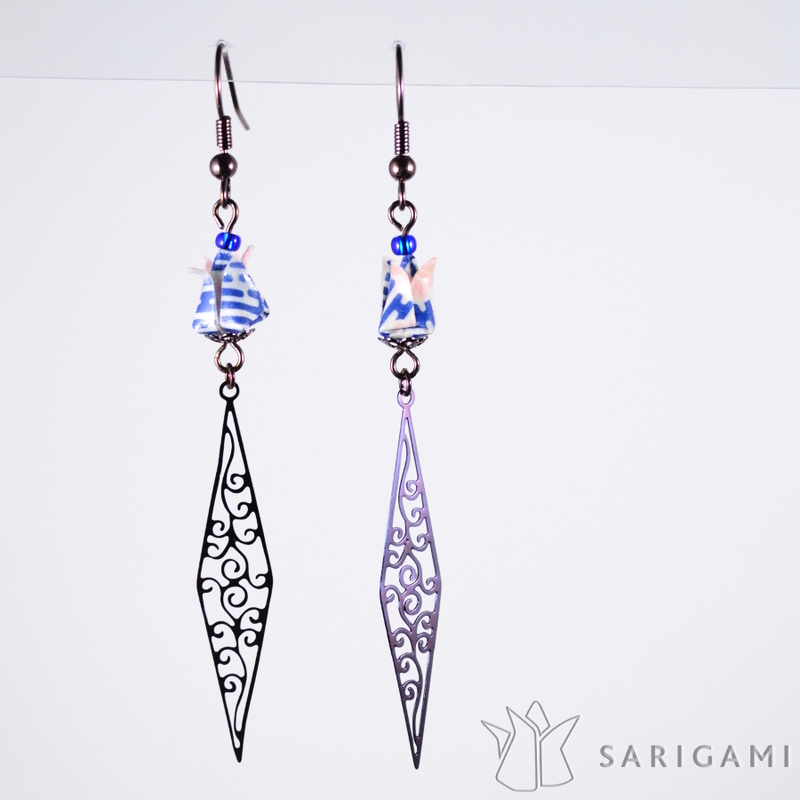 Origami flowers can be made in different colors on request. 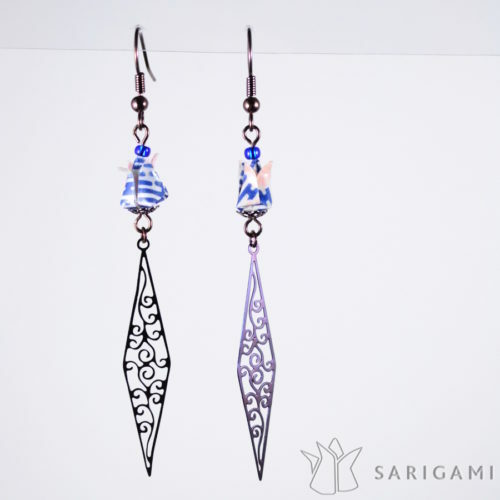 Each origami flower is hand-made using a 2,5 cm (1″) sheet of special origami paper. 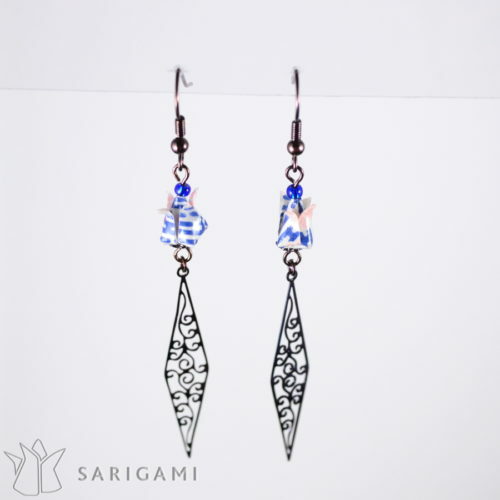 Beads are obtained by drilling a tiny hole in the origami shapes. The beads are then coated with multiple layers of a water-based gloss. The gloss stiffens the paper and protects it from humidity. 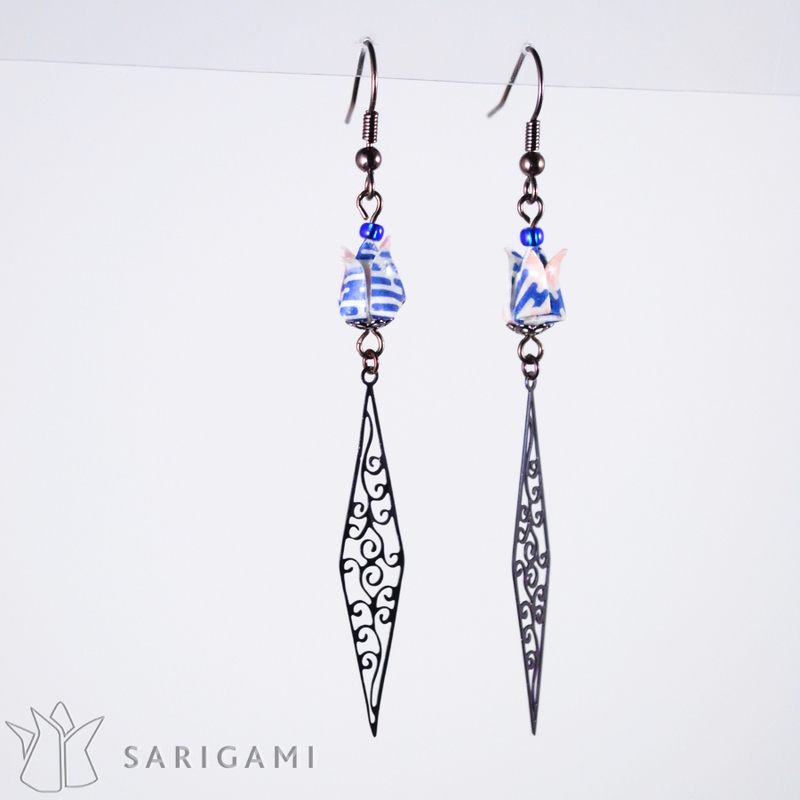 Origami jewelry can therefore be worn normally: come rain or come shine!